Blair Parks Department removed disease and hail damaged pine trees at Black Elk-Neihardt Park during mid August. The Blair Parks Department removed more than 30 trees at Black Elk-Neihardt Park in August due to hail damage and disease. 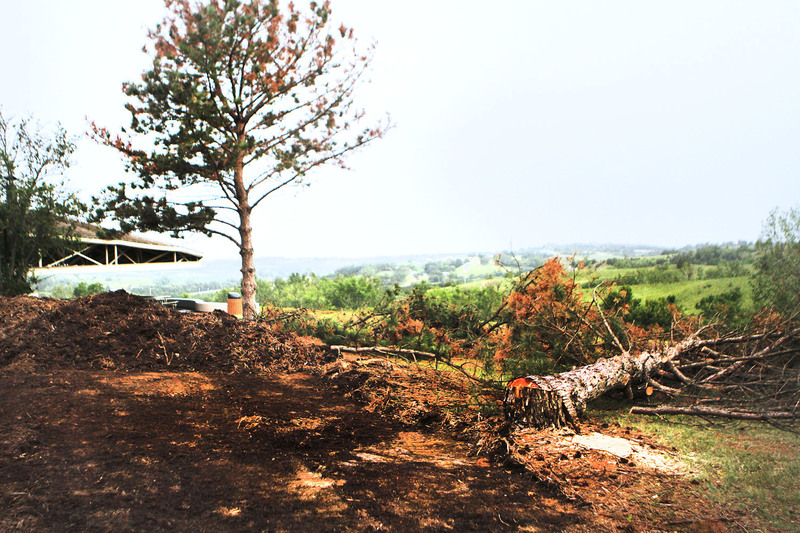 The June hail storm accelerated the death of a large number of trees at Black Elk-Neihardt and other city parks that already were suffering from Soft Pine Beetle damage and Pine Wilt.